10 Days of Twitter #YSJ10DoT 2019 - Starts 25th March! Welcome to Ten Days of Twitter, or as it’s called in twitterspeak, #YSJ10DoT ! YSJ10DoT will help you to learn to use Twitter from scratch, build up your network and join in the conversation in 10 days! YSJ10DoT will take place from Monday 25 March – Friday 5 April. Twitter is in many ways very simple to use – it’s just a micro-blogging social media platform on which you can post 280 character ‘tweets’ which your followers can see, and you can follow other people to see what they’re sharing. Sounds easy, and in fact, setting up an account, following people and sending tweets is easy. At first people are often very sceptical – what could you possibly say that was of any academic or professional value in 280 characters? And why would anyone care to know what you are saying? How could Twitter possibly enhance your work in any way, other than a fun way to distract yourself from real work? To find out, view the schedule opposite and register to participate in the next YSJ10DoT, which is taking place from Monday 25 March – Friday 5 April 2019.
very much of your time, so we hope it will be a worthwhile experiment for you! We’ll be interacting with each other too on Twitter, so you’ll be building up your network on Twitter very quickly! There are quite a few academics, faculties, programmes etc. on Twitter already, using Twitter to ask questions, find resources, collaborate on projects etc. – join us! tasks over the course of the ten days. This year, we are awarding two open badges. The #YSJ10DoT 2019 Hatched badge at the end of day 5 and the #YSJ10DoT 2019 Flying badge at the end of day 10. After we’ve verified that you’ve met the criteria, we will issue your badge. 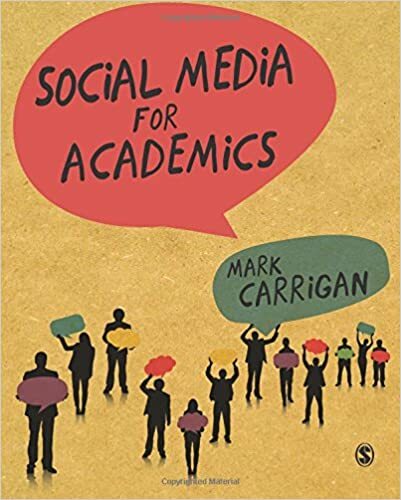 At the end of the two weeks, YSJ colleagues who earn both open badges will be entered into a prize draw to win Social Media for Academics by Mark Carrigan. Our 2019 10 Days of Twitter programme finishes on Friday 5 April with a ‘Tweet-up’ where academics from York St John and the University of York will share their experiences of how to use Twitter to enhance teaching and learning. Lunch will be provided. Spaces are limited. For more details on the speakers and to register for the Tweet up event, book your place here. The 10DoT Badges are adapted from those issued by University of Sussex’s Technology Enhanced Learning Team, which were also licensed under a Creative Commons Attribution-NonCommercial-ShareAlike 4.0 International License. We are extremely grateful for the work put in by Helen Webster, the LD5Digital Things team and the University of Sussex’s Technology Enhanced Learning Team, and for sharing their great resources with the community! 0 responses on "10 Days of Twitter #YSJ10DoT 2019 - Starts 25th March!"